Workshops are given by our vendors, volunteers, and speakers. The topics are juried and most are FREE! We allow instructors teaching a craft to charge for supplies when patrons get to physically take something home. For years now, we have offered free 45 minute metaphysical classes, making this the perfect opportunity to learn about something you may have had questions about, but was afraid to ask. Everyone is friendly and open to questions. Workshops are free unless they have a $ next to them! There is electricity, but no projector and screen, unless requested. Green Activities are in a Large Roped Off Circle. Hikes are pink and in italic. 7:00 PM - Serpent Mound Park's Activities - Sunset Tour around Serpent Mound meet in the park. Each day FOSM will have a different craft for all ages to create at thier Craft Booth. One can view artifact collections from area collectors like Alan Journey and John Barnhart. We hope to have a flint napping demonstrations, as well. Stop by the Buckeye Trail booth and learn about how it connects with the North Country Trail. Did you know the Buckeye Trail goes through Serpent Mound and Soaring Eagle Retreat? Stop by and say hi to Jim! We are pleased to have him as a part of this festival. Hear his music Thursday evening at 6pm. 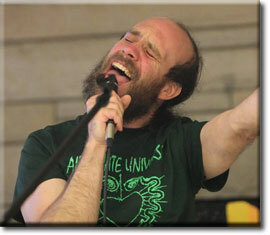 This multi-talented individual will also lead two Open Jam Sessions, Friday and Saturday nights 9pm to 11pm. 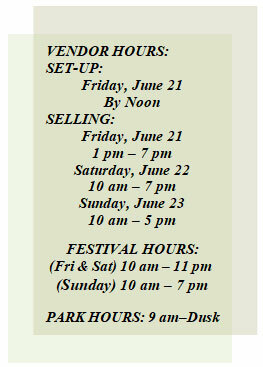 During the day you can visit him at his booth, attend his Fermenting Wild Edibles workshop on Friday at 4pm, or Edible Plants Hike on Saturday at 4 pm. 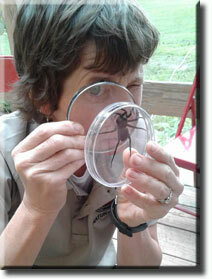 Jenny Richards, Shawnee State Park Naturalist. Jenny grew up on the edge of Shawnee Forest exploring the outdoors with her family. She obtained her BS in Geography from Ohio University, traveled and worked abroad and returned home to land her dream job as a state park naturalist in the very forest she was raised. She loves sharing her passion for the great outdoors with everyone she meets. 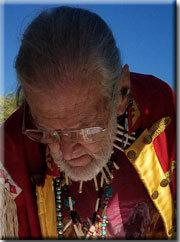 Everett Patch "Patches" is a gentle soul that loves animals and helping teach people to meditate. He also loves to share stories. 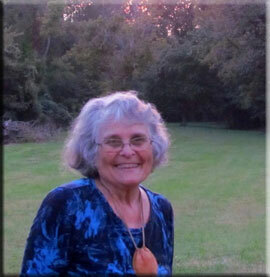 Grandma Dona Greene has been a wonderful friend and supporter to both my family, Serpent Mound, FOSM, and her community. She is an amazingly engaging storyteller. I have seen her entertain the most wiggly of wiggly worms. We are honored to have her share her collection of children's books on Nature and Native American stories. Plus, what better place to listen to these stories than out in the woods under and ancient Grandmother Blue Ash Tree! There are a few places to sit, but you may also bring a small rug, towel, or blanket to sit upon the Earth or next to the tree, gently. She will do her storytelling at noon, Friday-Sunday.